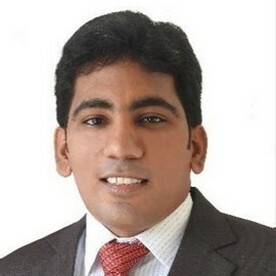 Mr. Sathya Kumar A is the Training Manager in JP Research India Pvt. Ltd. He has over 6 years of experience in Crash Investigation and accident data collection. He investigated over 500 accidents and collected in-depth accident data. Being part of the RASSI initiative of JPRI, he has served as the Project Leader for Coimbatore operations of JPRI besides working for projects of iRAP. He has been responsible for annual reports focusing on the contributing factors leading to accidents and injuries in the Coimbatore district with solutions to mitigate the severity. Mr. Sathya Kumar is responsible for the Training division of JPRI and has been instrumental in developing awareness among the public and corporates alike about road safety and its significance. He has been involved in capacity building of young professionals and government officials interested in accident research. Besides delivering training for external clients, he has conducted several internal trainings for JPRI employees. Mr. Sathya Kumar has published papers on crash investigation and the data analyses based on the in-depth data collected.